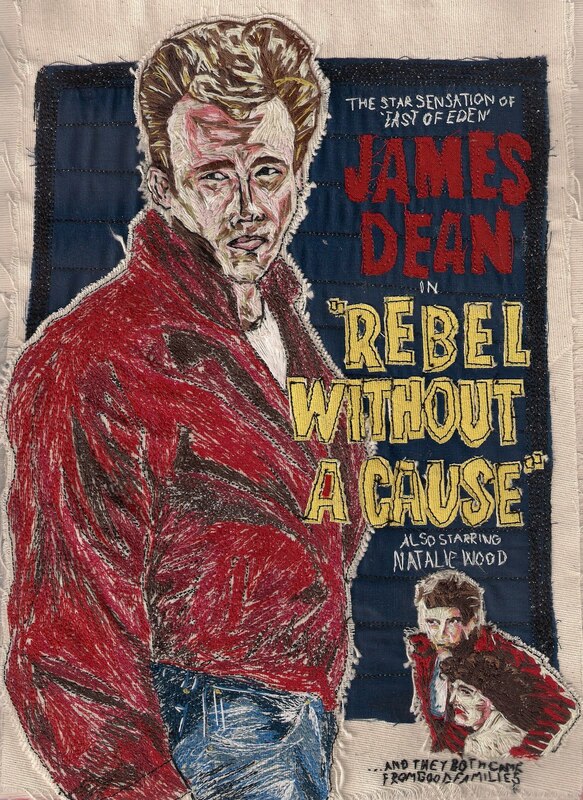 Rebel Without A Cause is one of only 3 films that starred James Dean, which ultimately cemented his iconic status in cinematic history. His role as Jim Stark set the archetype for not only the cool Fifties American teenager but perhaps every teenager since. Dean has his white t-shirt, sleeve rolled up for his smokes. He has his red jacket and blue jeans. He's hurt, lonely and looking for kicks - and no one understands him, making him instantly accessible to he audience. Through his intense performance, he connects with the viewer more through gestures than words. His powerful performance is on show in the famous switchblade fight scene, where the main image is taken from. The inclusion of the 'what makes him tick... like a bomb?' also emphasizes this intensity and adolescent angst of our wounded hero. The layout is kept to a similar style as the movies of that era, with the color scheme being influenced by the originals poster, and the characters iconic red leather jacket, while the title font is taken from the opening credits. James Dean's character's surname 'Stark' is an anagram of 'Trask' the surname of his character in East of Eden. The Wall Street Journals article on how Method acting is Dead. East of Eden screentest with Paul Newman. Some of my Undergrad work - 'Rebel' kicks in at 2:50. A very cool sewn poster.